Seasoned adventurers know that even light questing can lead to battle scars. Whether for LARP or practice, no worthy warrior should go unprotected, especially at their core. Be well protected with the Antonius Leather Cuirass. 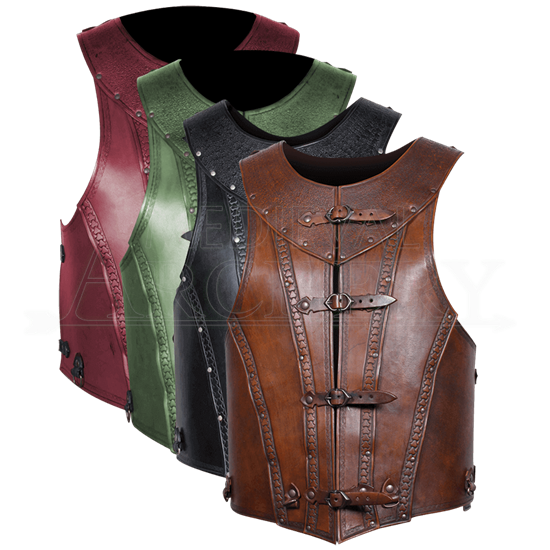 Let the quality leather of this stylish body armor keep your torso from unnecessary injury. A distressed finish to the attached gorget and distinctive embossed patterns contribute to a stylish medieval theme. Adjustable buckle straps aid in a comfortable and secure fit. Customize by adding pauldrons and tassets to this fine piece.